Live Curious: What’s an Otohime? Restrooms fascinate me. I linger in a washroom when the interior intrigues me. Faucets, mirrors, free hand sanitizers, hair blower (in hotels), hand-dryer, and all kinds of tissue papers are some of my favorite bathroom features. Yet, have you heard of Otohime or Sound Princess? See that picture on the left side? Yeah, that’s a noisemaker in public restrooms for people with shy bladders. 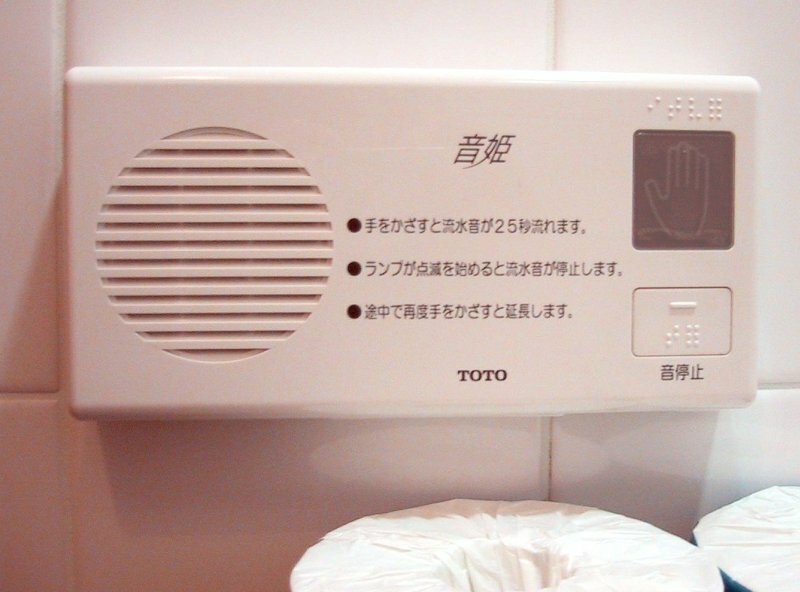 Not only people with paruresis (pee-shyness) want this device, but also Japanese women who are embarrassed of thinking someone would hear them urinate. I came to know about noisemakers as I was reading about Japan’s efforts to Save Electricity in a Hurry after the country was hit by a destructive tsunami. 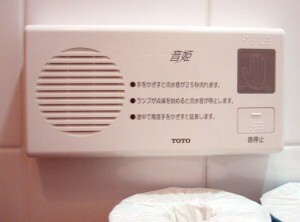 We don’t have this device in most, if not all, Philippine public toilets, but we were able to live without it. Perhaps Japan could. Even I would give up using the hand-dryer for the sake of sustaining the earth’s energy resources.